Recently, I’ve been contacted by one of our readers on why their inventory cost was wrong. This particular company utilizes standard cost and the inventory cost never matched their inventory G/L account. Learning about how they updated standard cost, it was very apparent what went wrong. It was how the user updated their standard cost. Companies will periodically update their Standard Cost to reflect closer to what the cost of their items. The timing of this really depends on the company and the industry they’re in. I’ve seen companies revaluate their standard cost every month, some do it every quarter, some companies revaluate their standard cost every year. Updating the standard cost is a must for every company, or else you will see big variances when you run your financials, which accountants and auditors will question every single time. Depending on how your company wants to recalculate standard cost, you may not want it to change the inventory value on hand. To do this, all you need to do is just updating the Standard Cost field on the Item Card of the Stockkeeping Unit Card is only part of the process. All you need to do is just change the Standard Cost to whatever you like and you’re done. For manufacturing companies they may use the Calculate Standard Cost functionality. What’s missing is you need to revaluate what you current have on hand to the new standard cost. Just updating the standard cost on the item card will only affect purchase or incoming items going forward. It will not affect historical standard cost values! Not running Adjust Cost – Item Entries aside, the problem is not with the actual update of the standard cost, but the current inventory you have on hand. The 3rd step is what kills you. Making manual G/L entries will only make reconciliation between the item ledger and general ledger extremely tough and add a tremendous amount of (unless) work. In my career, I have not met a person that wants to do more work that is useless. If you want to change your current inventory value on hand, you have to run the Revaluation Journal AFTER you update your standard cost. 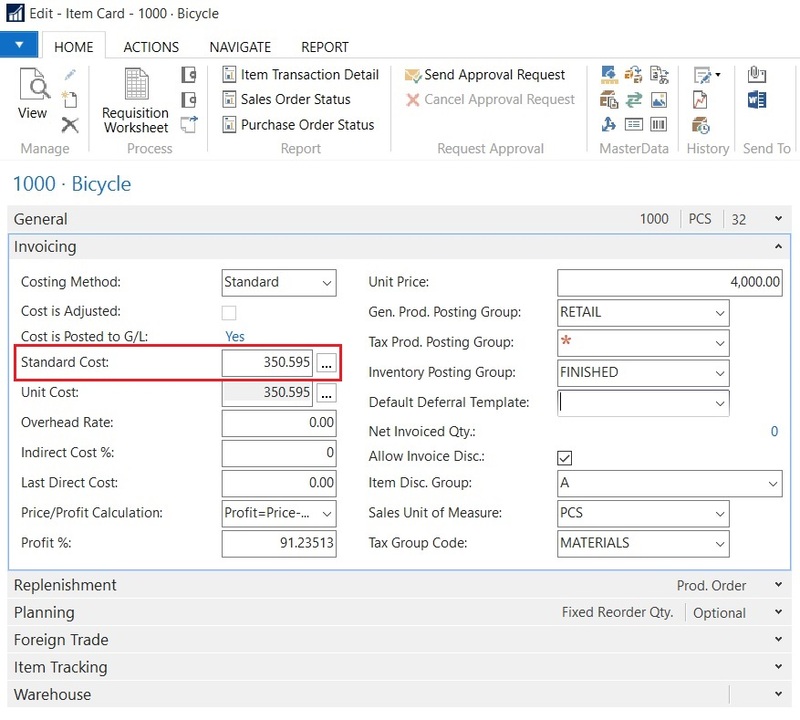 Microsoft even published an article detailing the proper way of updating standard cost for your Dynamics NAV implementation. Click here for the article. Properly used, the inventory function in NAV never goes wrong and will never require human intervention. What’s wrong is the information you feed it.